A little pedantic, but once I noticed it I couldn't unsee it. 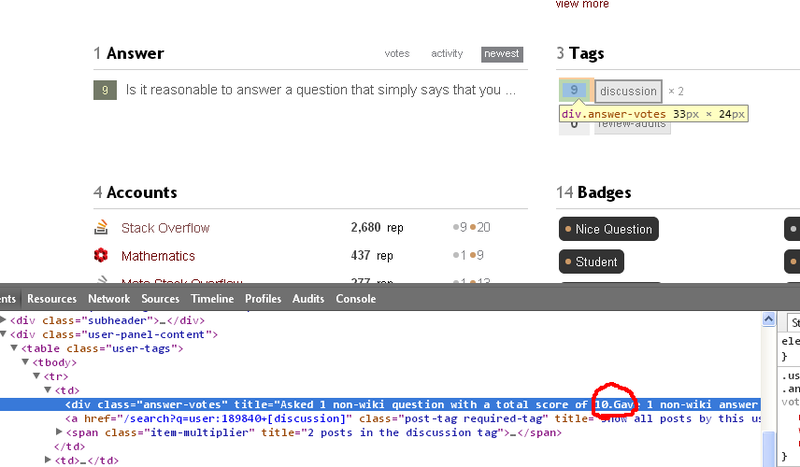 When I hover over the tag score for a user who has asked and answered a question in the tag on Meta, there is no space after the first period. Can we add the spaces back? Will be fixed as of revision 2014.1.28.1902 on MSO and 2014.1.28.1335 elsewhere. Give or take. Not the answer you're looking for? Browse other questions tagged bug status-completed meta tooltips .